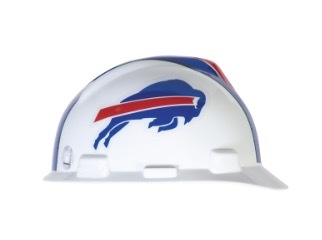 SKU: R-0001 Categories: Construction Safety, Hard Hats, Safety Hard Hats Tag: Safety Hard Hat Brands: Rockman. 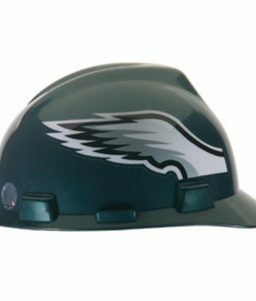 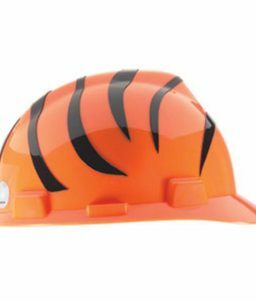 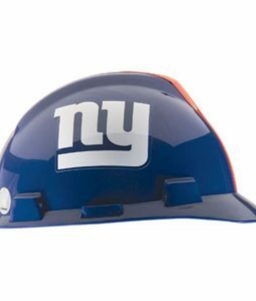 The Ranger Safety Hard Hat is a revolutionary and *award-winning advancement in the protection against head and neck injuries. 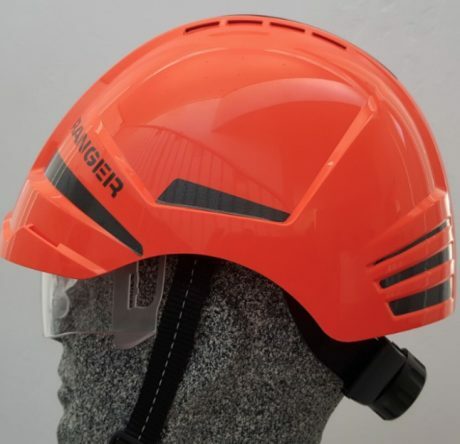 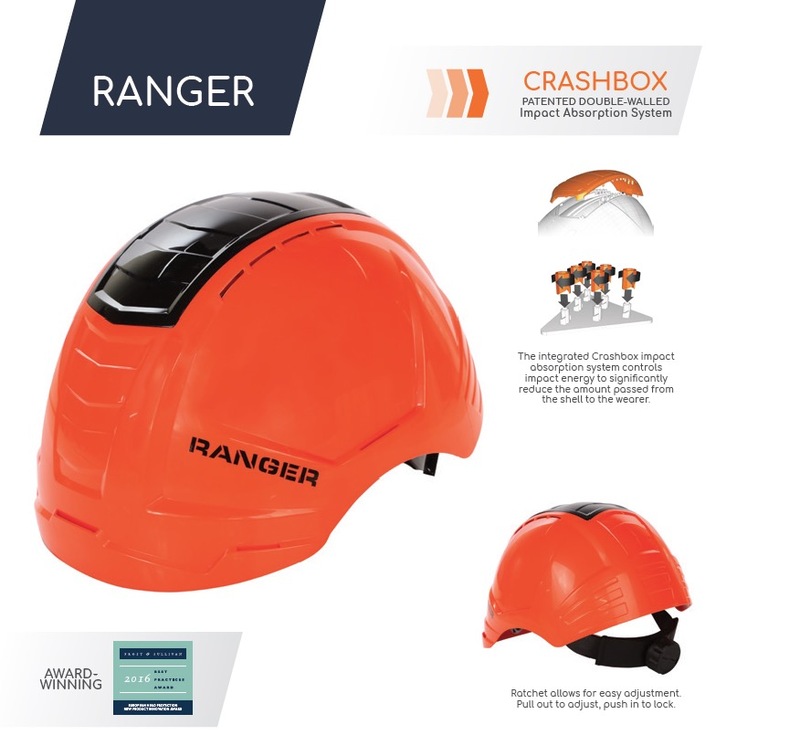 The Ranger Safety Helmet features a patented double-walled impact absorption system, known as Crashbox, a unique feature that functions like a crumple zone of a car that deflects and absorbs much of the impact energy before it even reaches the powerful 6-point suspension harness. 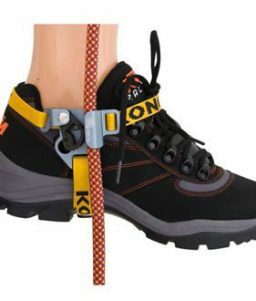 The 6-point textile suspension harness further dissipates the force transmitted to the head and neck while providing optimal fit and comfort. 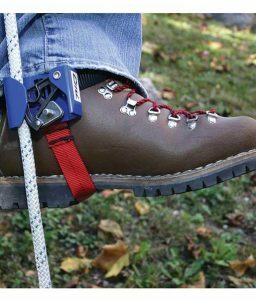 2 or 4-point self-releasing chin strap mounts are designed to release when the limit of their pulling force is reached to avoid the risk of strangulation. 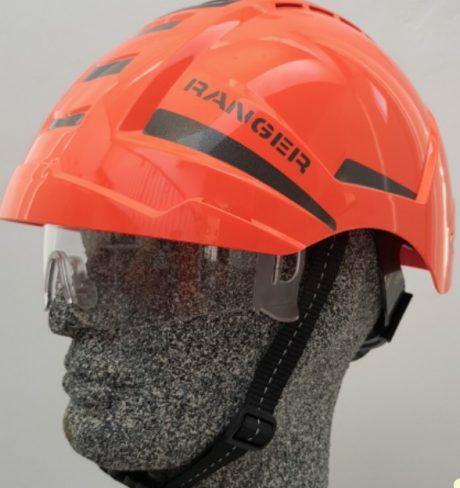 A padded headband with ratchet further enhances the comfort to the wearer, allows for adjustment with one hand, provides adjustable sizing 53-62 cm, and extends low enough to provide additional protection to the base of the skull. An optional integrated eye retractable eye protection device (IntegraSpec) conforms to EN 166 and can be pushed up into the helmet when not needed. 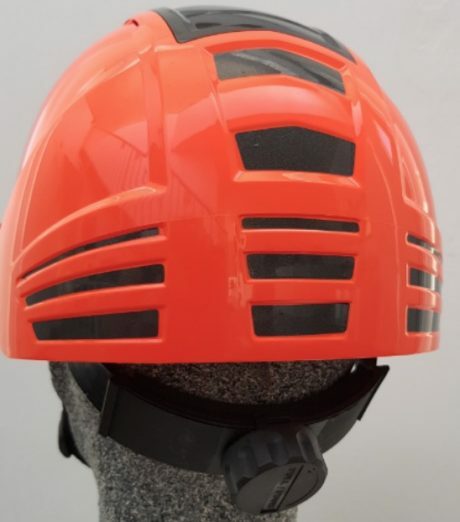 Helmet is made with ABS/Polycarbonate virgin granulate blend that is UV stabilized to resist the weathering effects of heat, cold, and sun. 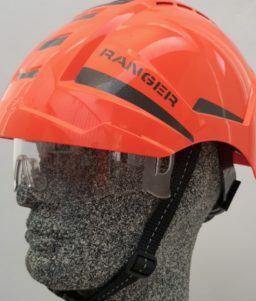 While other hard hat models last only 4 years, the Ranger lasts 6 years.